from 10 pcs. 5,54 EUR ea. from 20 pcs. 5,22 EUR ea. from 40 pcs. 4,93 EUR ea. 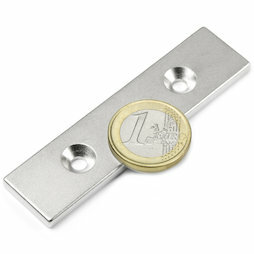 80 x 20 x 3 mm, as a counterpart to magnets, not a magnet!